For this special record box, we invited Pete Paphides to dig through John Peel's records and explore the context of this romantic and beguiling artist's catalogue. It's easy to think of Nick Drake's music as an island that exists entirely on it's own, such is the quiet cloak of emotional power that isolates it. 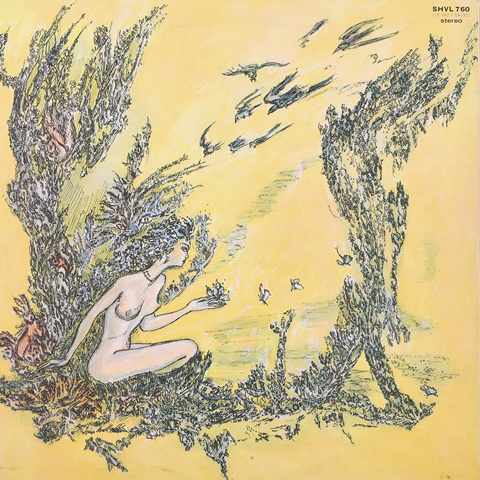 The ethereal quality of his songs, and the mythology surrounding his life which has grown in the years since his death, uniquely combine to render his art timeless. Popularity and influence, which remained frustratingly absent during his life, has since grown unabated through generations of musicians and music lovers. As a result Drake's music has become a byword for introspection, solitude and grace, the archetype which many have tried to imitate, but none have successfully recreated. 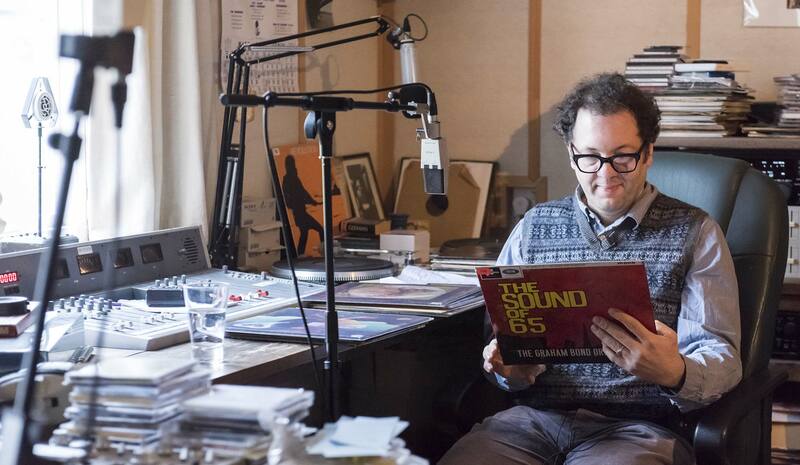 We invited Pete Paphides to dig through John Peel's records and try to connect Nick Drake's catalogue to the world, in this special record box he examines the music that influenced Drake, and the influence he had himself. After all, despite the stories of distance and isolation, in the late 1960's Drake had a supporting cast that included amongst others, Joe Boyd, John Cale, Fairport Convention, John and Beverley Martin; the best and brightest of the burgeoning UK folk scene. Joe Boyd was responsible for guiding many careers in 1970, but he took particular interest in the development of Nick Drake and Sandy Denny - both songwriters who, for different reasons, required a certain amount of careful stewardship. Nick's undemonstrative nature required a manager/producer who could hustle on his behalf and honour his intentions in the studio. Boyd also fought for what he felt was best for Denny's development as an artist - but his problem was she didn't always concur with that vision. 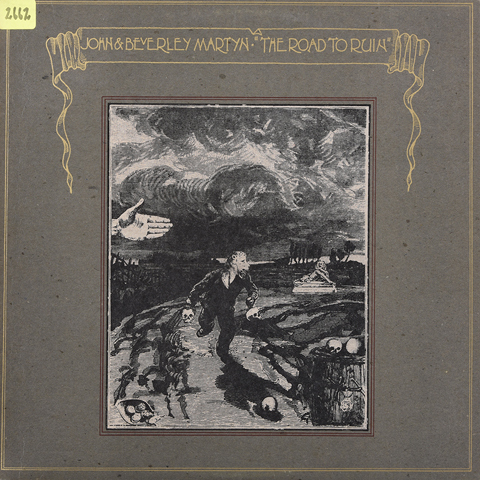 After Sandy Denny's departure from Fairport Convention, Boyd wanted her to embark on a solo career. She wanted to form a band which would act as a showcase for both her songwriting and the vocals of her husband Trevor Lucas. 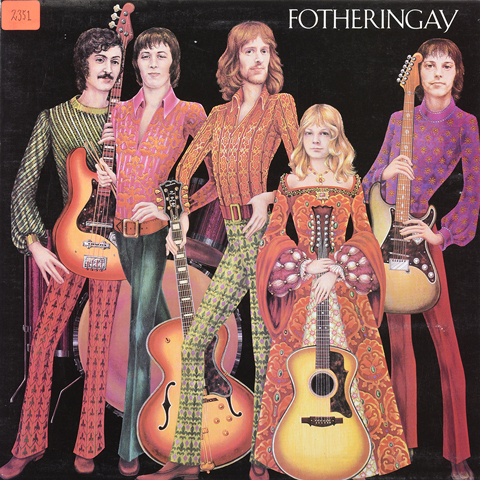 His contributions on the resulting self-titled album by Fotheringay are fine, but inevitably, it's her songs that take your breath away. 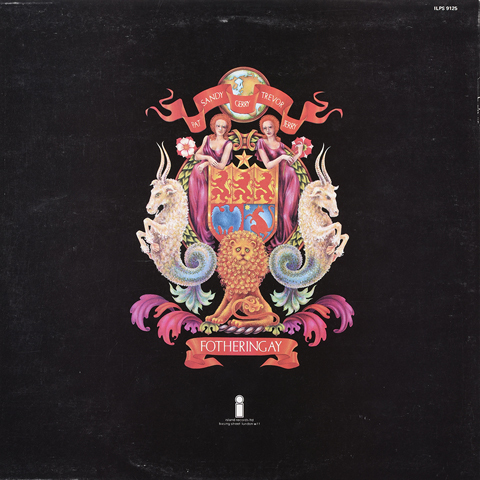 As with George Harrison's contemporaneous All Things Must Pass, Denny originals such as Winter Winds, Nothing More and The Sea make it pretty apparent that she had been holding back some of her best songs from Fairport Convention. All of which came as scant consolation to Joe Boyd. 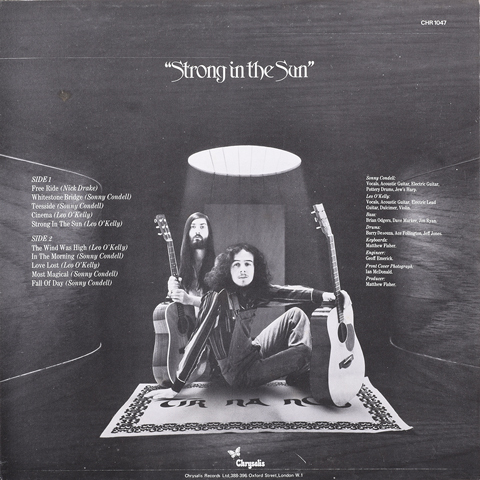 Citing The Fotheringay album (and it's "ugly" sleeve), The Incredible String Band's conversion to scientology and a dispute over the tracklisting of Fairport Convention's Full House, Boyd decamped to Los Angeles. His sudden departure hit Nick Drake hard, engendering a sense of abandonment that prompted him to write Hanging On A Star. 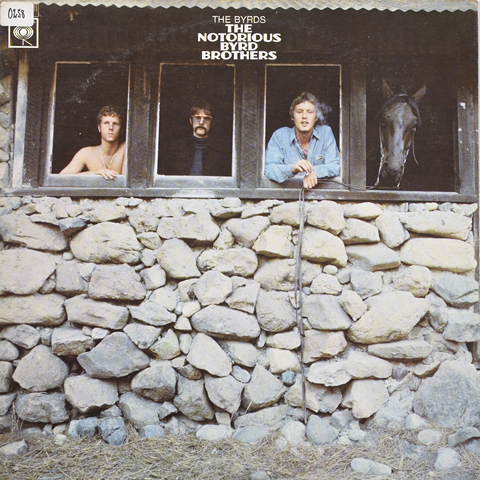 Released in 1968, The Byrds' fifth album saw the group make their most concerted grab for psychedelic experimentation. 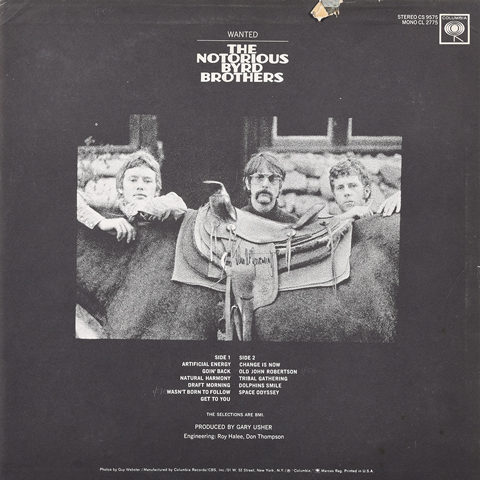 It's an album of which Nick's friend and arranger Robert Kirby was very fond, so it's not too presumptuous to imagine that Nick might have heard it during the pair's time at Cambridge. It's worth noting also, that prior to Tribal Gathering, no group had thought to attempt a pop song in a 5/4 time signature - although at around the same time, Nick famously wrote River Man. Perhaps there's a causal connection? 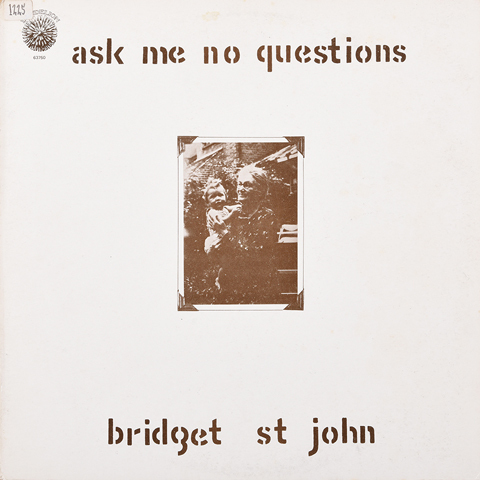 Given that she was signed to Dandelion - the label that John Peel ran together with Clive Selwood - it's no surprise to see the rich cello-like tones of Bridget St. John well represented in John's collection. Like Nick, commercial success eluded Bridget. The two often found themselves sharing the bill at Les Cousins from 1969. In Patrick Humphries' Nick Drake: The Biography, she says, "My memories of him playing are of a tall, lanky long-legged young man - always seated cross-legged. 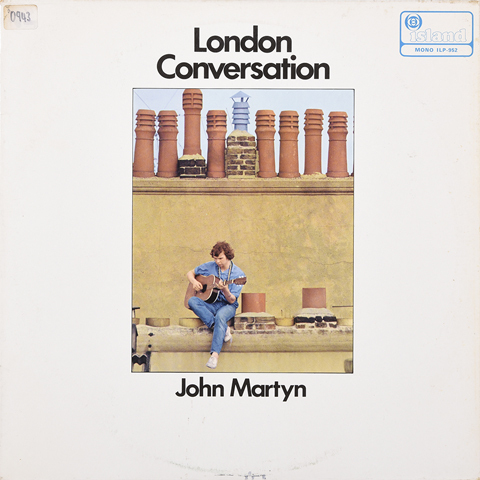 I loved a lot of his music - especially from the Bryter Layter period: It was John and Beverley [Martyn] who introduced me to him. I remember we both opened for Fairport Convention in Croydon, and both of us felt good about our performances. Karl Dallas [from Melody Maker] reviewed it and obviously hated both of us equally. [He wrote] '...why did the organisers make us sit through almost an hour of sheer tedium before the interval instead of letting the Fairports have the whole show to themselves?'" 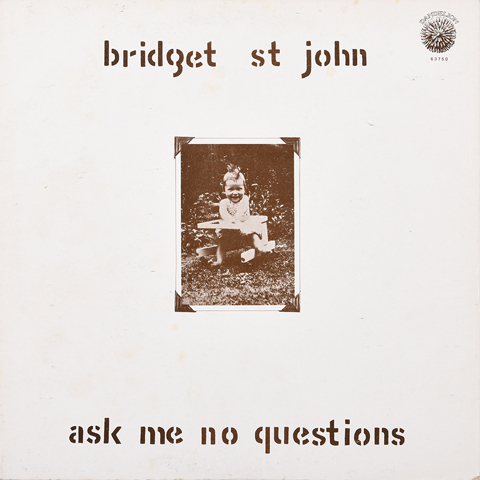 Now based in New York, Bridget continues to write and record. She returns to Britain for the occasional intimate show, and she remains a captivating performer. 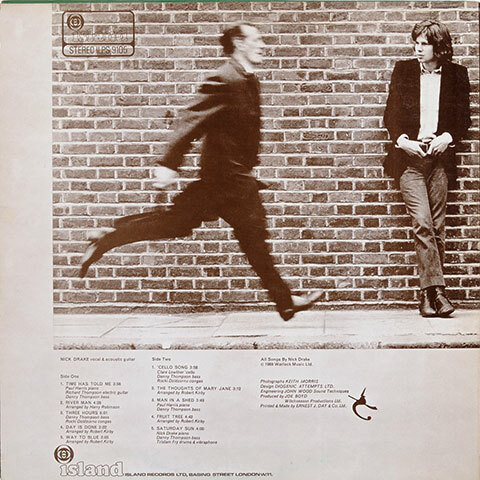 For the main part of Nick Drake's creative life, it was unclear if the "I" in his songs was Nick Drake or merely the protagonist of that particular lyric. Near the end of his life, it was becoming harder to make that distinction. One influence in this change may have been the music to which he was listening to in his final years. Nick's friend Paul Wheeler recalled him enthusing about Lennon's 1969 single Cold Turkey. "It's a really tough song," recalled Wheeler, "And I was quite surprised to hear Nick saying that it was a really interesting thing to do, because I didn't associate Nick with that kind of pain." Two years later, it would turn out that Paul Wheeler's then-wife Diana would find herself in the employ of Lennon and Yoko Ono. As one of Lennon's personal assistants based at Lennon's Tittenhurst Estate, Diana, along with Paul Wheeler, frequently paid host to Nick. Speaking with Patrick Humphries, Nick's friend recalled that "John and Yoko had gone [to America, never to return] and Nick seemed to fit with the 'ghost house' image of Tittenhurst." 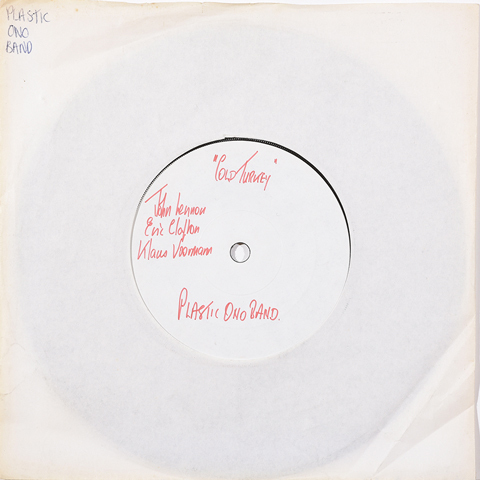 In the summer of 1972, Wheeler recalled playing Lennon's unflinchingly cathartic John Lennon/Plastic Ono Band album to his friend for the first time and seeing him look 'visibly shocked'. Perhaps this would embolden him into similar lyrical candour in Black Eyed Dog and some of his other final songs. 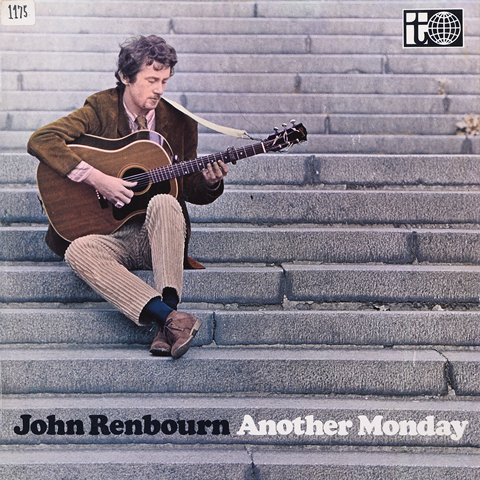 From mid-60s, the poster boys of the British folk guitar movement were Bert Jansch and John Renbourn. Even before they combined to form Pentangle in 1967, the pair - who shared a flat in St John's Wood - seemed to perfectly embody a look and lifestyle that was so popular among aspiring free thinkers of the age. It quickly became apparent that by the time, Nick Drake had returned from his 1966 sabbatical in Provence and Marrakesh, he had found a sense of belonging in the emerging folk-guitar vanguard. His hair was longer and messier, his air somehow both worldly and otherworldly. Unencumbered by the schedules of school and family life, Nick had finally been free to experience at first hand a life that - up until that point - he had only experienced by proxy, through the writing of Sartre and Kerouac. 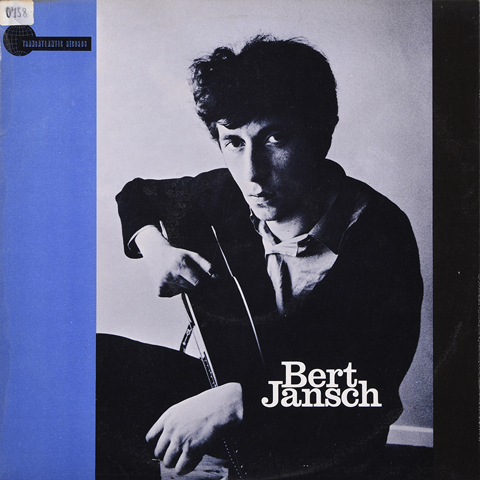 Even before his departure, the songs that Nick had learned were those which eschewed attachments and obligations for the romance of a solitary, itinerant life, among them Bert Jansch's Strolling Down The Highway and Jackson C. Frank's Blues Run The Game. It isn't hard to see why these songs would have appealed to Nick Drake as he accelerated out of adolescence and - as so many great songwriters have done - hit upon songwriting a means by which to mould a persona from the raw ingredients of his personality. 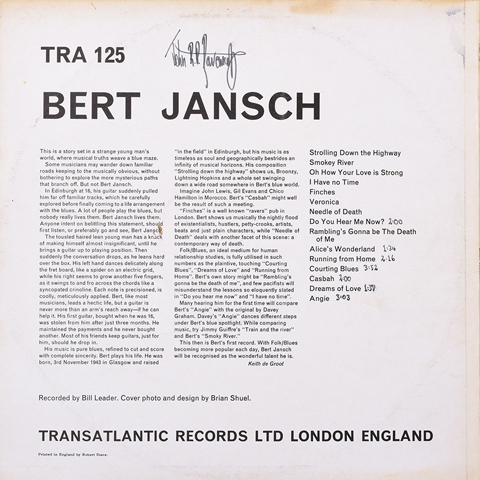 On the famous "Aix tape" which surfaced in 1998, Nick can be heard performing eight songs - in which the influence of Jansch and Renbourn is glowingly apparent. His sole original composition, Princess of the Sand, sounds like perfect assimilation of Graham's game-changing instrumental and Frank's Milk & Honey (a song which, judging by the way he played it, he most likely heard via Renbourn's version). 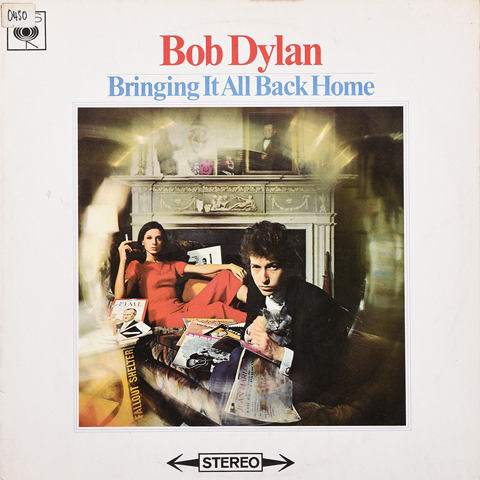 Just as thousands of teenagers were reinventing themselves with the help of acoustic guitars, peaked caps and Bob Dylan albums, the Bob Dylan that emerged in 1963 with his own self-titled album was no less a figment of his own imagination - a quasi-worldly simulacrum of Woody Guthrie, Dave Van Ronk, Ramblin' Jack Elliott and Lead Belly. 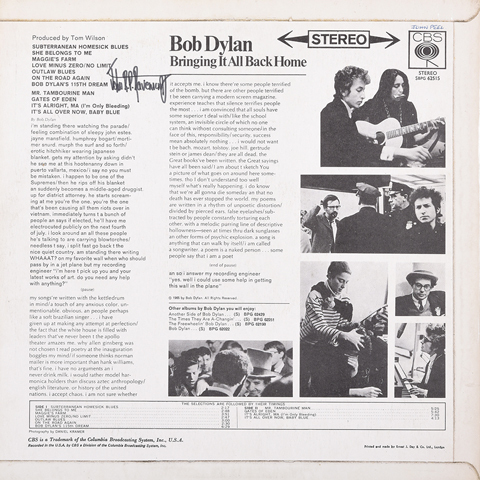 The rambling meter and riddle-like imagery found in Dylan's could often be heard in Nick's own music. 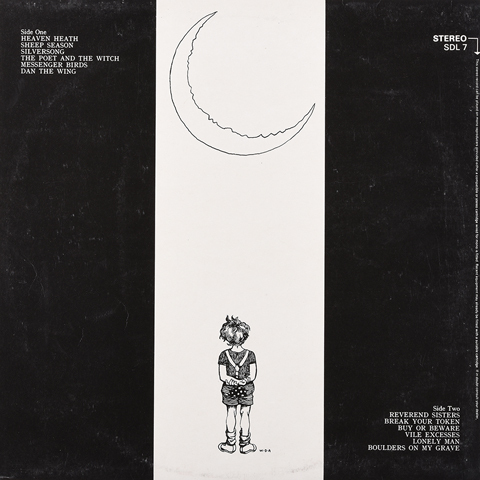 By way of illustration, pick any segment of Things Behind The Sun from Pink Moon: perhaps "Look around you'll find the ground/Is not so far from where you are/But don't be too wise"; or "About the farmers and the fun/And the things behind the sun/And the people round your head/Who say everything's been said." It's as easy to imagine Bob Dylan singing those words as Nick Drake. 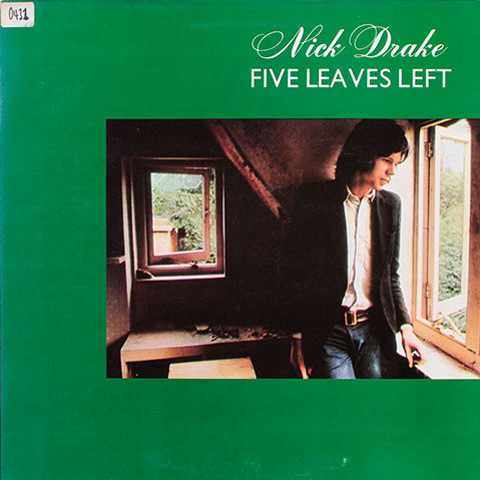 Nick Drake's songs often reveal more about themselves in the hands of other artists. And on no album is this more true than his final album Pink Moon, whose songs have drawn interpretations from artists as disparate as Meshell Ndegeocello, Sebadoh and Beck. More likely, its very sparseness may be the reason more artists have felt brave enough to place their stamp on it. 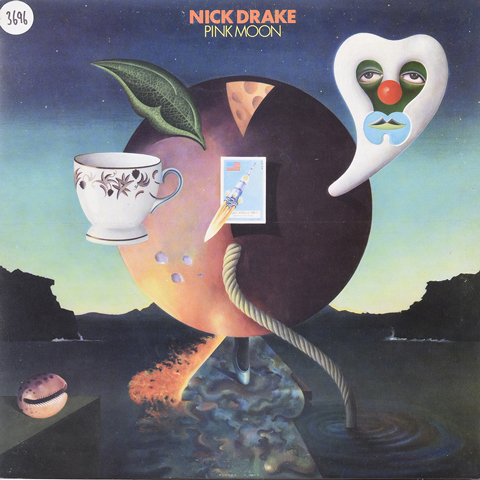 In 2007, Robert Kirby confessed that "recently I have found myself starting to suspect that [Pink Moon] is just as demo of a series of unfinished masterpieces, absolutely perfect in this raw state, but unfinished." If there's something in what Kirby has to say here, that might help explain why Pink Moon seems to leave more room for the interpretations of others. 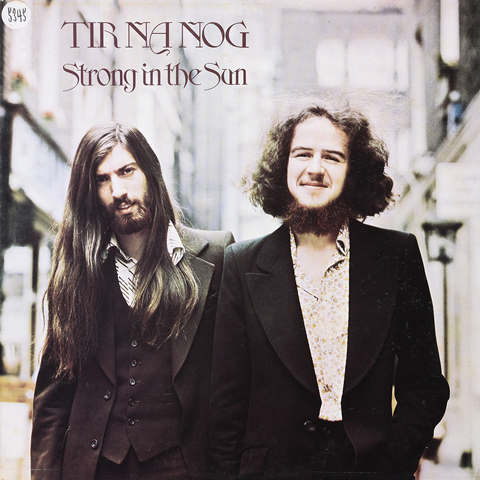 First off the blocks with their version of Pink Moon song were Irish prog-folk group Tir na nOg kicked off their 1973 album Strong In The Sun with what to these ears remains probably the most upliftingly inspired version of a Nick Drake song. Their Free Ride seems to owe as much to Roxy Music's marauding art-pop as it did to anything that Nick might have envisaged for it. 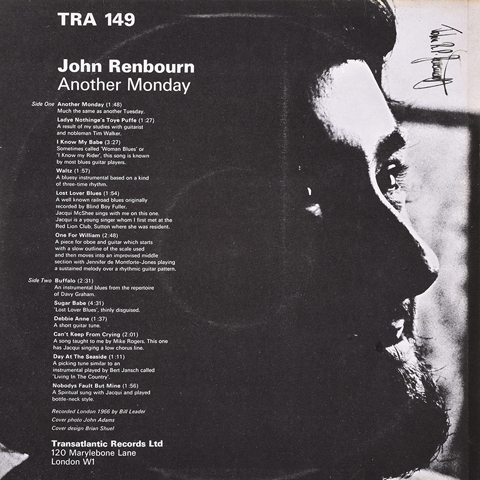 More than any other single location in Britain, Sound Techniques was the hub of the British folk-rock boom. 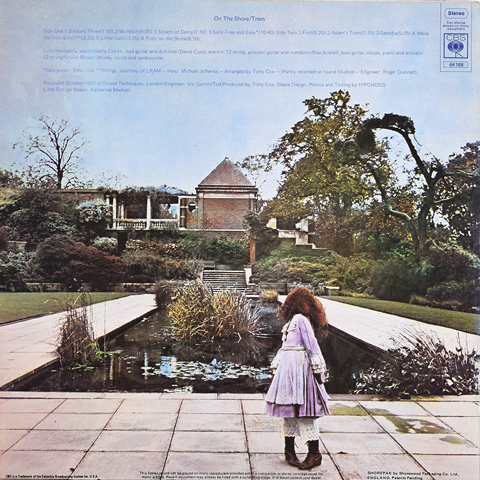 The albums released between 1968 and 1972 by Fairport Convention, Sandy Denny, John & Beverley Martyn, Fotheringay and Nick Drake tend to be united in people's minds by the fact that Joe Boyd produced them - but John Wood with his then-unfashionable insistence that acoustic instruments needed to be recorded in a large live-sounding room is no less crucial to the picture. Along with chief technical engineer, Geoff Frost, it was Wood - a former Decca engineer who had grown up on classical music - who set about converting two floors of an old dairy into a recording studio. In the 1960s, no two studios were the same. Recording hardware which is now mass produced was more often than not made from scratch. "The industry was run by inspired amateurs," recalled Wood. In time, he settled into the role of in-house engineer while Frost specialised in building mixers to order for anyone who wanted to buy one. Because of the demands placed upon him as the producer of cover records released on Woolworths' budget Embassy imprint, Wood had developed an interest in pop and saw his resourcefulness stretched to breaking point as he was charged with the task of creating sonic facsimiles of popular hits using the sparest of means. So when Joe Boyd came knocking on his door with a view to having him engineer Judy Collins' In My Life album, Wood had accrued a wealth of experience. 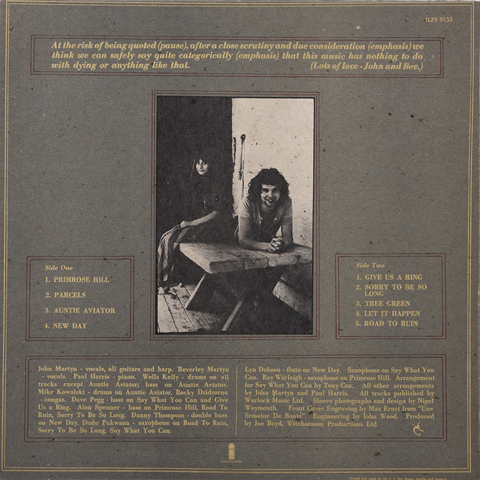 Though he didn't realise it at the time, Collins' album was effectively a dry run for processes that would dramatically bear fruit on Nick Drake's first album Five Leaves Left. 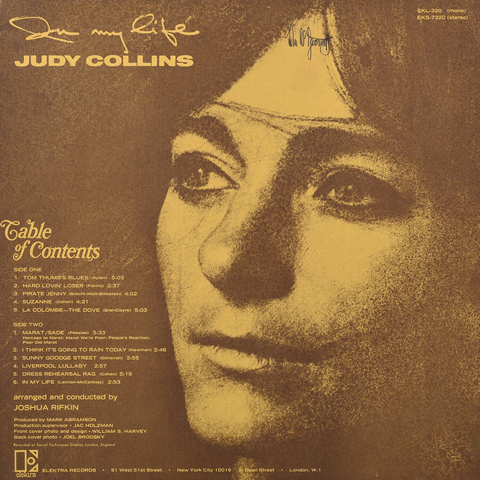 Collins' arranger Joshua Rifkin was insistent that the musicians on her album would need to be classically trained players who had resisted the lure of pop sessions and adverts. 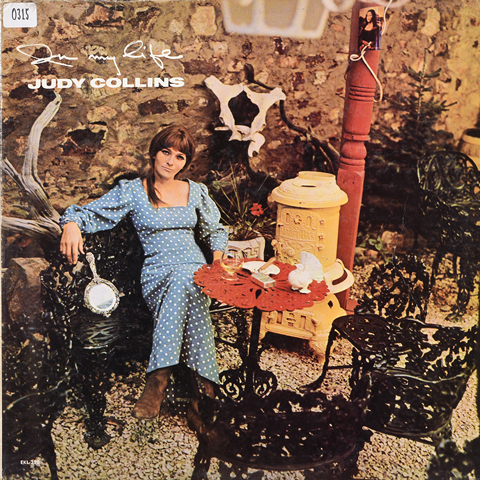 The effect was palpable enough to distinguish Collins' album in a crowded subgenre. "We never went to the regular sources: we booked people from the London Symphony Orchestra or the English Chamber Orchestra." So, after the first sessions of Five Leaves Left - with arrangements from Richard Hewson - foundered, John Wood and Joe Boyd reverted to the process that they had seen work so well for Collins. Hewson had chosen pop sessioneers and the results had been underwhelming. After that, Wood recalled that "we never went to the regular sources: we booked people from the London Symphony Orchestra or the English Chamber Orchestra." Other than Nick Drake, very few middle-class British singer-songwriters in the late 1960s felt confident enough to sing in their own accents. Two who did, however, were recently departed Soft Machine frontman Kevin Ayers and recently departed Pink Floyd frontman Syd Barrett. 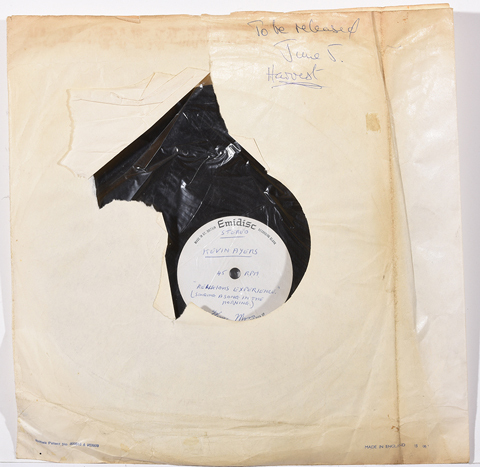 One of many unique artefacts in John's collection is an acetate of Religious Experience - a song recorded for the sessions of Ayers' debut solo album Joy Of A Toy - which features a guitar part from Barrett. In the end, Religious Experience was left off Joy Of A Toy, a consequence of Barrett's playing which was deemed "uncommercial". As the 1960s ended, a collective embarrassment about the era's psychedelic excesses seemed to set the serious music agenda. The dissolution of The Beatles seem to compound a sense that sentimental attachments to the preceding decade needed to be firmly jettisoned. In this moment of hesitation, prog-rock gathered ground as did a sort of plodding back-to-basics rootsiness initiated by The Band's incalculably influential Music From Big Pink. 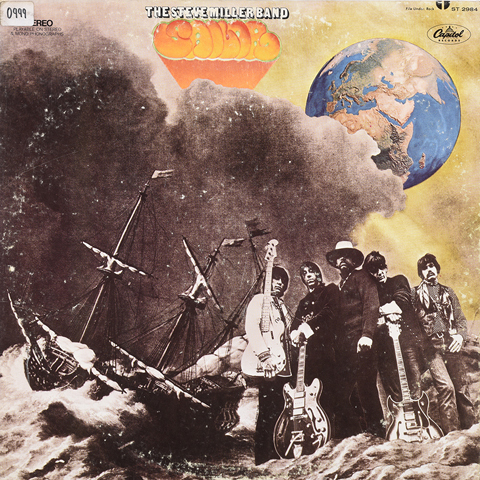 Another way forward, for many British groups, was to create a new kind of pastoral psychedelia, blending folk-song vernacular, rock dynamics and pagan and fairy-tale imagery. It was a folk purist's nightmare, but that didn't matter too much. Albums were an exponentially growing market, and major labels were keen to sign groups whose music made more sense across the two sides of a record. "We were trying to evoke a sense of England as it once was a long, long time ago. Before folk clubs. 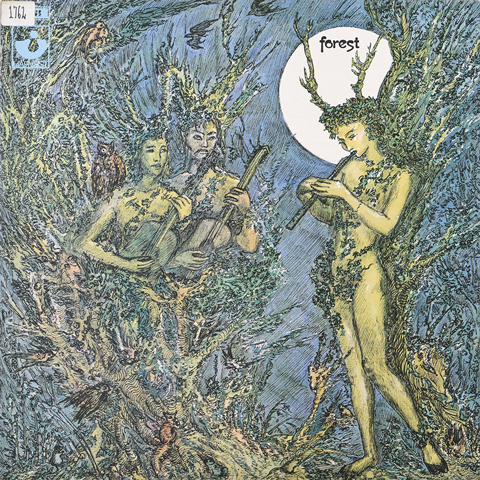 Before Cecil Sharp House,"
On their eponymous album, Birmingham-based three-piece Forest delivered songs like A Glade Somewhere and A Fantasy which seemed not so much written as excavated from the Grimsby moors of Welham's upbringing. "We were trying to evoke a sense of England as it once was a long, long time ago. Before folk clubs. Before Cecil Sharp House," said the group's frontman Martin Welham-Smith. As their names suggest, Trees and Forest specialised in this new sort of lysergic folk-flavoured rock. John championed both bands, but to no great end. 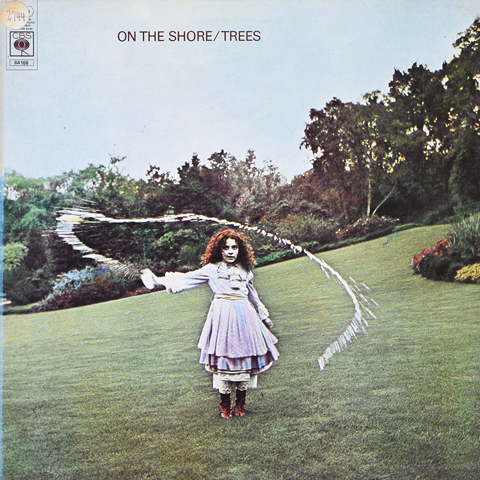 Trees offered a heavier sound, perhaps best evidenced by the epic ten minute version of Sally Free And Easy which sits at the centre of 1971's On The Shore. 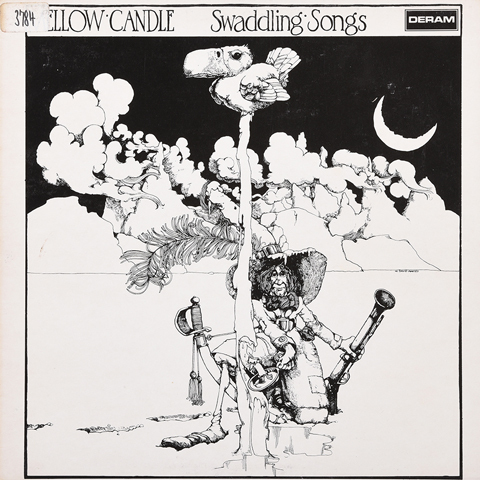 A year later, Irish group Mellow Candle delivered Swaddling Songs, which - in a blind taste test - could easily be mistaken for the third album that Trees never got around to making. Months before the release of Swaddling Songs, John happened upon the group, when he attended a festival "30 miles from Wexford." Reporting for Disc magazine, he wrote, "this was their second ever gig, but the seeds of something good are there." He was absolutely right. Swaddling Songs is as extraordinary. Hymnal pagan pop gems like Heaven Heath and Reverend Sisters set the tone, interspersed with almost operatic excursions like The Poet And The Witch. Clodagh Simonds and Alison O'Donnell's lyrics often depicted a merciless world, free of spiritual comforts. On paper, Mellow Candle's realm of "bold bright-eyed saints", "shadows of unicorns", "sailing angels", ravens crying "Beware!" and "Solstice [that] brings the chill winds to an end" might have been a bit much for a single sitting, but the passing of time has merely magnified the charm of these songs. Hence, the $2000-plus asking price that an original copy of Swaddling Songs will set you back these days. Hindsight is a funny thing. "This was their second ever gig, but the seeds of something good are there." Peruse music papers of the time, and although all three of these bands warrant the occasional mention, there seems to be no prevailing sense that anyone regarded them as kindred spirits. 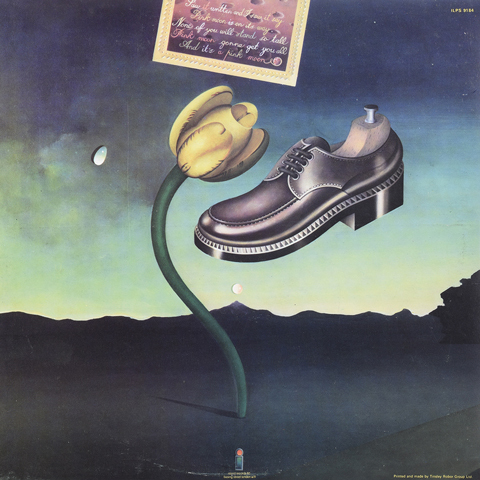 Terms such as 'acid-folk', 'wyrd-folk', 'strange folk' and 'spooky folk' have been termed to describe many early 70s releases that shared the characteristics especially common to these albums, but at the time, this was not a movement. Had it been regarded as such, there may have been a ready pigeonhole that might have accommodated Nick's final album Pink Moon. But in the early 70s, commercial success eluded almost everyone who found themselves stuck between rock and a folk place. Van Morrison's debut album had a substantial effect on the young Nick Drake. 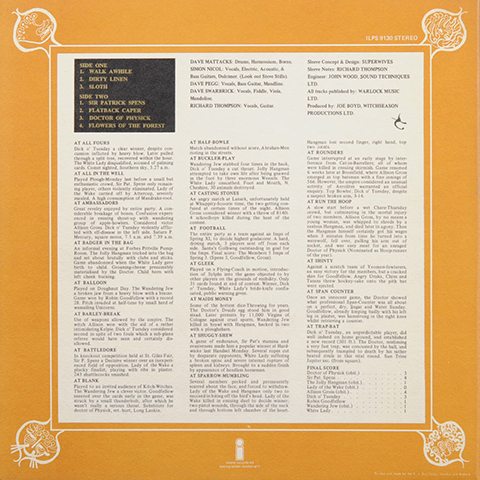 The use of jazz instrumentation - in particular, vibraphone on Nick's Five Leaves Left may be a direct consequence of Astral Weeks, which was mostly recorded in two sessions with a collective of jazz musicians who Morrison barely knew. 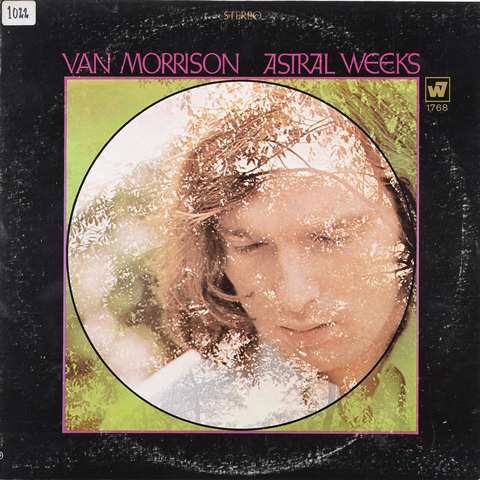 Morrison's influence of Astral Weeks can also be detected on Fly, from Bryter Layter. 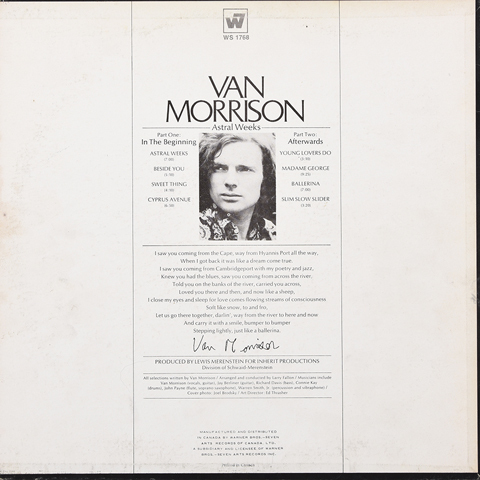 The high, ornate harpsichord flourishes are strongly reminiscent of Larry Fallon's work on Cyprus Avenue - and the line "come ride in my street-car by the bay" is all too easy to imagine tumbling from the mouth of the bead-wearing, free-spirited Morrison of the late 60s. "We were certainly listening to Astral Weeks heavily at that time," confirmed Kirby. Nick was famously the subject of Solid Air on John Martyn's eponymous 1973 album. However, though Martyn himself may not have been aware of it, Solid Air was the second song about Nick to appear on one of his albums. Years later, Robin Frederick - the American musician Nick had befriended while staying in Aix - would reveal that her song Sandy Grey had been written in Aix-en-Provence about Nick. 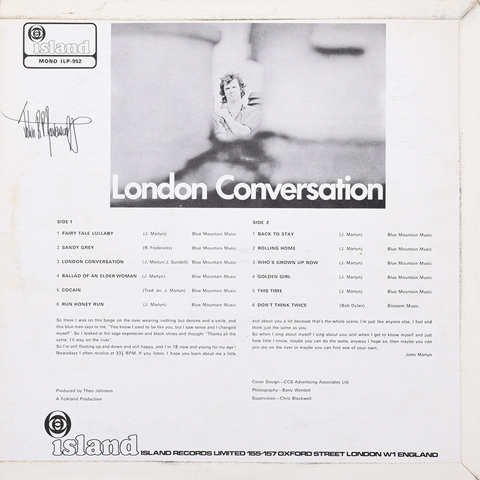 John covered the song on his 1967 debut London Conversation. With both artists signed to Joe Boyd's Witchseason roster, it was perhaps inevitable that they would get to know each other. Nick seemed to warm to larger-than-life characters, whose air of certitude seemed to rub off on him. 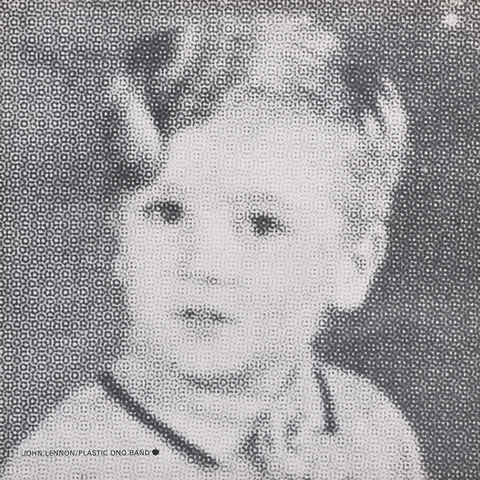 Beverley Martyn quickly became very protective of Nick, feeling that public school and university had left Nick "feeling institutionalised" and that his first months in London represented the "beginning of his independence." If this was indeed Nick's first experience of real independence, he still nonetheless had a support network that many in his position would have envied. John and Beverley Martyn were up the hill from Nick in Hampstead. Somehow, you can hear something of the locale both in Bryter Layter and the Martyns' Road To Ruin, the ever-present arterial bustle of the surrounding streets and verdant sanctuary of the nearby green spaces. In the first weeks of 1970, the Bishops Stortford branch of the Sound Techniques/Witchseason family also welcomed Nick as he set about rehearsing his latest batch of songs. In the village of Little Hadham, Fairport Convention had taken residence in a disused pub called The Angel. With Sandy Denny and Ashley Hutchings having recently left the band, the rest of Fairport - Dave Pegg, Dave Mattacks, Richard Thompson and the newly joined Dave Swarbrick - spent three or four days with Nick. Pegg recalled that, "you could never tell if he liked stuff or not, but we got an awful lot done in that time. He was just running through arrangements for Bryter Layter." 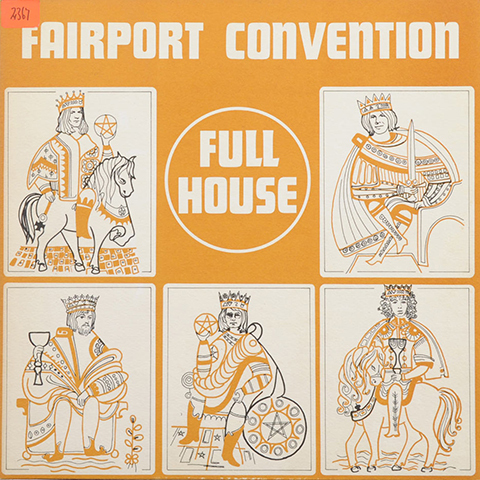 Within days of Nick's return to London, Fairport Convention finished getting the songs together for Full House, which they would go on to record at Sound Techniques between February and April. The British rhythm and blues boom affected several musicians who would go on to enjoy huge success - among them Rod Stewart, Jimmy Page, Jack Bruce, Jon Lord, Eric Clapton and The Rolling Stones. At Marlborough College, nearly 80 miles away from the movement's Soho epicentre, 16 year-old Nick Drake was also developing a fascination for this music. One record in particular seemed to consume Nick and his immediate circle. 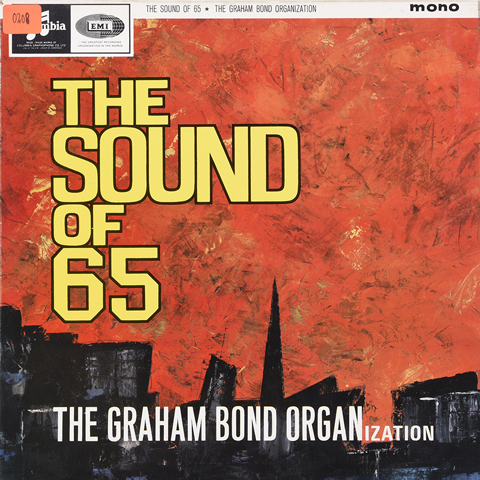 As his schoolfriend Jeremy Mason recalled, "The record we really liked, and we played it absolutely into the ground, was The Sound Of '65 by The Graham Bond Organisation. 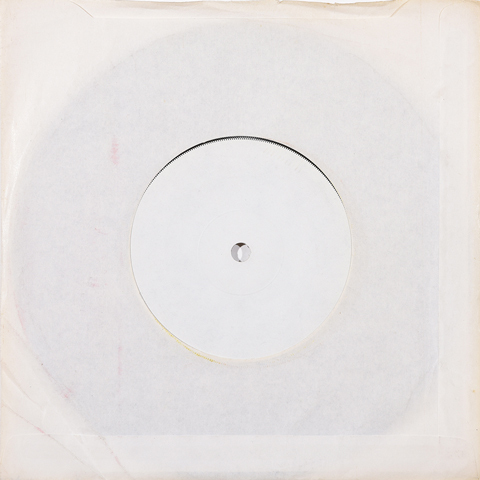 This was the record." Indeed, towards the end of that year, Nick travelled to London to see The Graham Bond Organisation play live. Bond's aggressive Hammond organ showmanship was a world away from Nick's otherworldly manner, but he remained a fan. 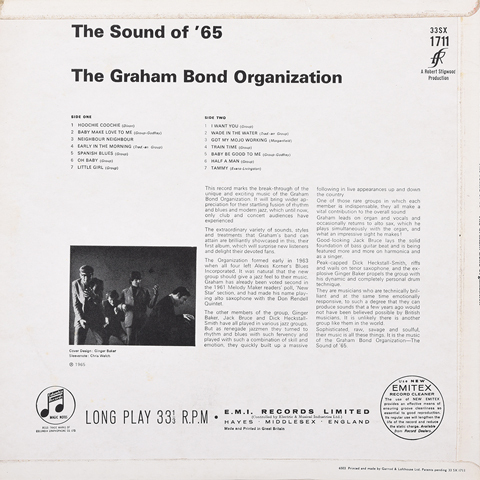 "The record we really liked, and we played it absolutely into the ground, was The Sound Of '65 by The Graham Bond Organisation. This was the record." A few months before his own death, Nick was said to be greatly affected when he heard that Bond, who had been suffering mental illness, had thrown himself under the wheels of a Piccadilly Line train. 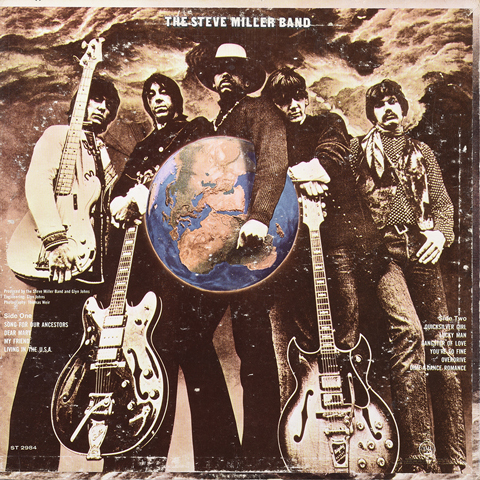 The second album by The Steve Miller Band was another record which made a profound impression on the young Nick Drake and further opened his eyes to the expressive possibilities afforded by a whole album, in particular the inclusion of instrumental tracks such as those on Bryter Layter. 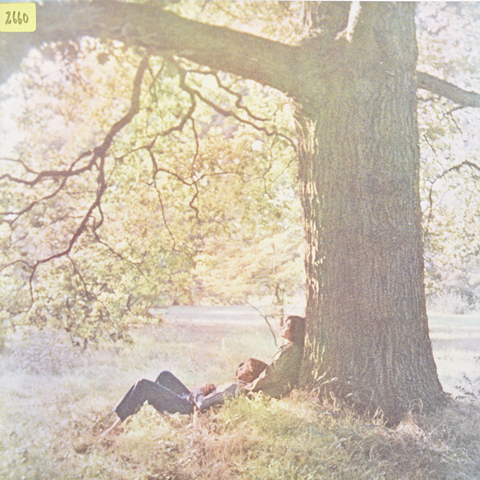 As Robin Frederick put it, "There was a lot of experimentation with the album format in the late 1960s. Both solo artists and bands recorded instrumental preludes, interludes, bridges between songs, interpolations, introductions with dialogue and sound effects - you name it, somebody did it. From Steve Miller's Song For Our Ancestors [a favourite of Nick's] to the one-minute Prelude on Chicago II to Brian Wilson's orchestral forays on Pet Sounds, instrumental tracks added a new dimension to the traditional album: they suggested there was more to it than just a haphazard string of songs."